Financial management requires you to be close to the numbers, but today, the numbers don’t have to be on-premises. ERP in the cloud is surpassing on-premises solutions, offering powerful advantages. Whether you are an advocate or a skeptic, the facts speak for themselves. More people are using mobile phones and other devices, and the internet and social media have become commonplace tools for businesses. The new digital marketplace means the cloud is the go-to platform—even for financial management. Wondering whether the cloud is right for your organization? 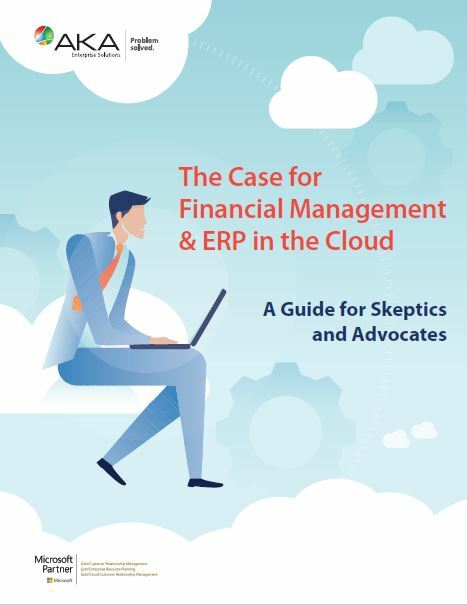 Download this informative ebook, where we dispel myths, turn concerns to confidence, and show you just how your business will benefit from cloud-based ERP.